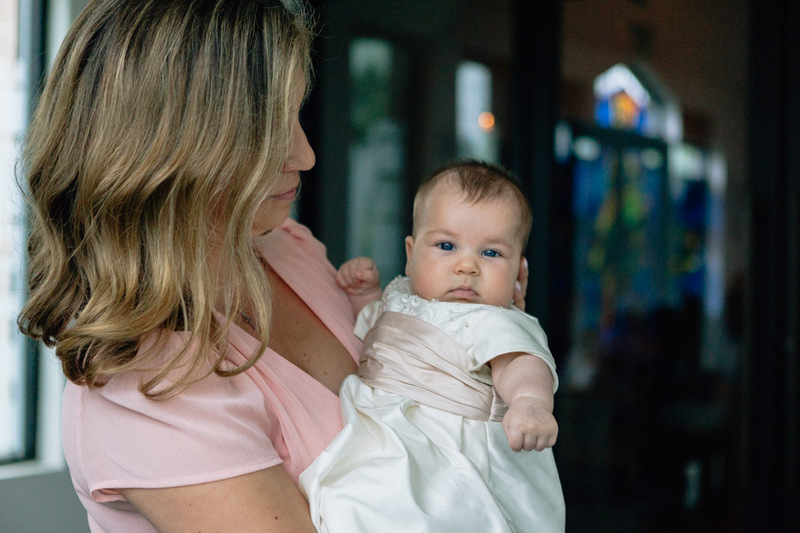 Two weeks ago, I had the honor of photographing this beautiful girl's baptism. The ceremony took place at St Catherine's of Siena in the little chapel. I got there early as I always do to test the light and scope things out - when I arrived the Deacon was already there too, sitting in a pew drinking an iced coffee! We got to chatting and he told me how back in the day he photographed weddings as a side job to bring in extra money for his family. We chatted about the days of film and he asked about what its like photographing in a digital world. Any nervousness I had about getting in the way during the ceremony disappeared as he just exuded warmth. 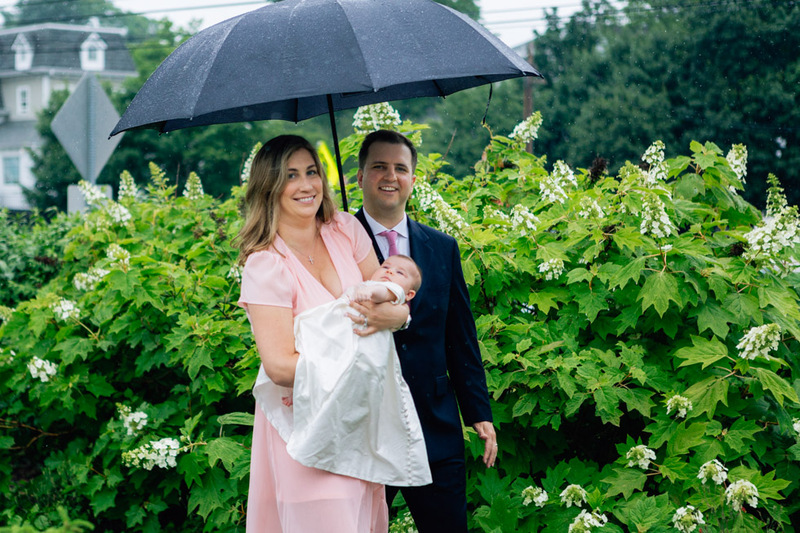 It was pouring rain by the time the family arrived, but everyone was in good spirits and Blair looked precious in her gorgeous silk dress. 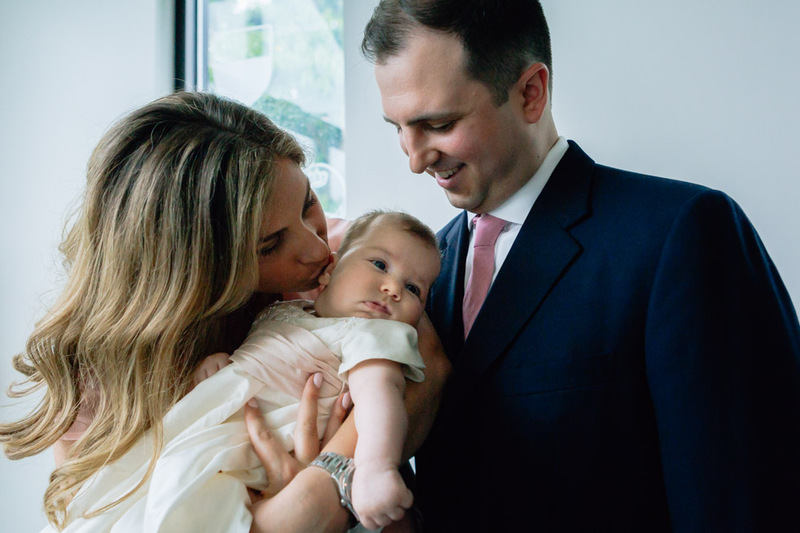 The ceremony was small and so special, and though it was a dark and rainy day, there was so much light and love surrounding this little girl. Congrats Tim & Shannon, it was such a beautiful day!